This beautiful Moroccan Fossil Coral is so dramatic with all its beautiful and rich caramel and browns and black colors going through it. 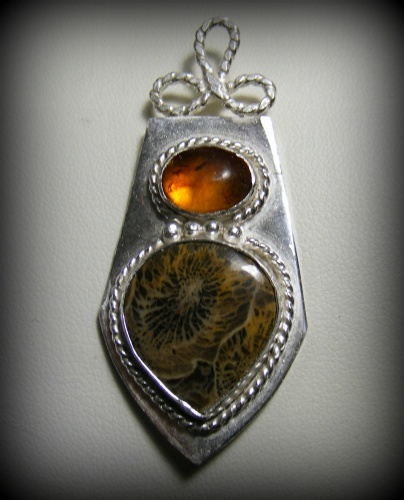 Enhanced with a small amber to make the whole pendant pop. Sterling silver twisted wire and balls add to the design. Piece comes with a sterling silver chain.